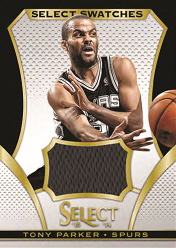 2013-14 Panini Select Basketball combines big designs with chromium card stock. Prizm parallels, autographs and memorabilia cards all return. Fourteen-pack boxes guarantee two autographs, two memorabilia cards and six Prizm parallels. Rookie Jersey Autographs are back. Top Selection Jersey Autographs spotlight early picks from past NBA Drafts. Other autograph sets include Signatures, Hall Selections Signatures and Franchise Signatures. Select Swatches bring more memorabilia to the table. 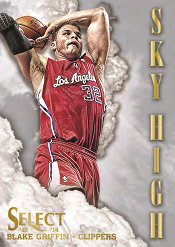 Among the basic inserts in 2013-14 Panini Select Basketball are Sky High and White Hot. Last year, Select rookies were limited to autographs and autographed memorabilia cards. This proved to be a pricey challenge. This set has basic rookie cards included in the base set. All cards in Select come with Prizm parallels. Besides basic Prizms, other common versions include Purple (#/99 or less), Blue (#/49 or less), Gold (#/10), Green (#/5) and Black (1/1). Purple and Blue Prizms make their brand debut. ANTHONY DAVIS 2013-14 PANINI SELECT JERSEY JSY CARD! ANTHONY DAVIS 2013-14 PANINI SELECT AUTO AUTOGRAPH CARD! As a middle product, it is skewed a little bit to high end. The best way to build sets is having a case break. hit less gets the base cards. Designs of select through the years remained consistent, Panini improvement can be seen each year and hopefully continue to listen to what consumer wants. Not a big fan of White Hot, perhaps this could be included in Prizm as an insert. nothing essential as a product insert that would entice buyers. Improve: auto selection. Players that mattered are relatively few and reduce the number of insignificant players. Research should be made to only include All Stars, Starters or Championship winners. 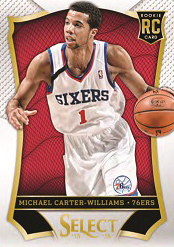 Panini’s auto checklist for 2013-14 has been using lots of retired players. I wish they can concentrate more on current superstars and RC with 2nd year players say class of 11-12 and 12-13. They need to do a retired players products for those who collect them. I like current players and prefer not to have them mixed in the same product. as some of the nicest inserts I have ever seen. version of his jersey swatch. Topps and Upper Deck basketball. Now, what will Panini do next as an encore? Take a bow, you deserve it Panini. 2013-14 Panini Select Basketball Cards set has 61 insert & parallel set after you complete the base set, my lord is Panini America kidding? No sports card collector will inserts in the time or money to complete this set with that many insert/parallels. With the hobby box break down of: 2 Autographs, 2 Memorabilia Cards, 6 Prizm Parallels and base cards for a total of 84 cards it might be a life time before you finish this set. 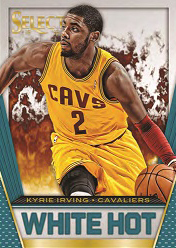 Just the latest over prices boxes and sets from Panini who has flooded the market and made Basketball cards worth less as there prices for cases and inserts go up. As nice as the Select cards are it’s totally not worth the time, cost or effort in collecting this set. I have been a private collector of only Basketball cards going back to 1950. I have completed also most every set of cards until Panini took over the industry with the tons and tons of over prices cards and sets. I guess they never met an insert set they didn’t like! I completed the Select base set but will not be wasting any time with the 61 insert & parallel sets in the 2013/2014 Select set. I wonder if Panini ever reads any reviews. David Lambert � Outside of a few sets each year (for all sports), it’s near impossible to complete EVERYTHING. I personally let that go about 20 years ago and focused on things that I enjoy and have enjoyed things much more. I still focus on sets but I pick and choose the ones I go after. For other products, I may grab a few cards of the players I like and leave it at that. Or skip it entirely. up collecting all cards in a set many years ago. Like him, I just collect what I REALLY want and have enjoyed things much more than I did. 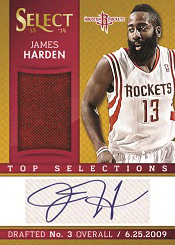 days with NBA Hoops, I thought for the fun of it, I would rate some of my favorite sets/inserts for 2013-14.
by a lot. The technology, the variety of parallels, inserts and autos of my favorite players made it so. pretty cool to chase until people caught on. by Hoops with their great action shots. and better patches at a lesser cost. 3) Prestige Play Makers; the deep black etched looking cards are awesome looking. love the use of the pulsar technology. 5) Prizm Guard Duty parallels. Simple & nice. 6) Innovation Stained Glass; all versions. Reminiscent of Topps Gallery of Heroes. 7) Timeless Treasures; Timeless Teams. 8) Pinnacle; Team Pinnacle. Beautiful look. 10) Gold Standard; Claim to Fame. Be interested in knowing what other collectors’ favorites were. Panini has done it again! Great looking product, the cards are just outstanding, but they again missed the mark and will fine very little interest in this set from the general public. Only very high end collectors who have a lot of money will be buying these boxes at the prices I have seen all over the internet. Panini continues to price out the young collectors and the average working man who is a hobbyist. Than factor in the fact that this set has over 1057 base set inserts and that is not counting the parallels by the way. It will cost you big dollars to complete this set! I can’t figure out why and how Panini keeps cranking out products so high priced and so close to each other. Select, Donruss, Gold Standard, and two other sets out right now have similar scenarios, I don’t think anyone’s buying them. I see lots of cards sites having to reduce prices to sell stock they have been stuck with when buying lots of cases. Don’t Panini care or don’t they check to see how they are single handedly killing the hobby! Select nice cards, overpriced, impossible to complete the set without a lot of money! I will not be buying! And then got back into cards on and off 2006-2010. To get 3859, without the blacks. Serge Ibarka’s seem to never made it into the boxes at all even redemptions. Skyhigh, gold, green and Black. I think i have the biggest 2013/14 SELECT collection in the world, thanks for letting me review.